So have you caught it yet? 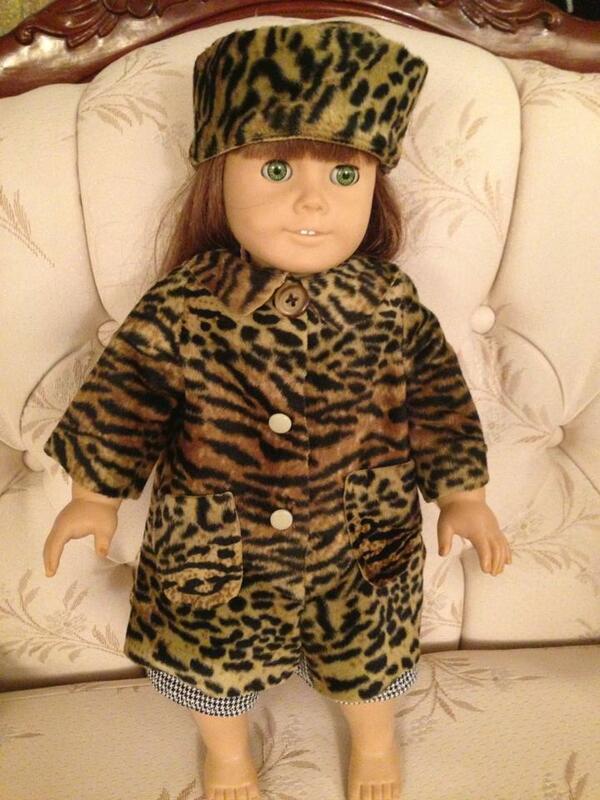 I call it the American Girl doll fever and we have it. I know what you are all thinking. You all thought that this was a blog about inexpensive crafts. 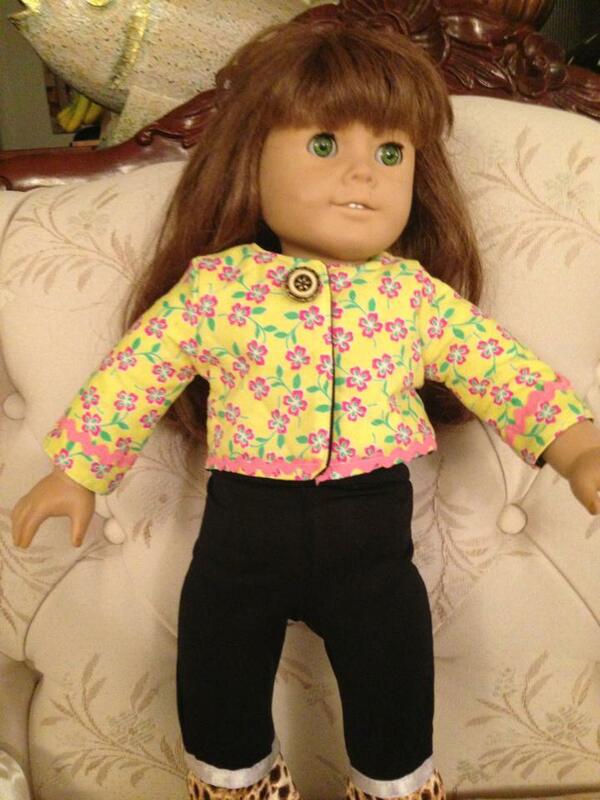 Well I’m here to tell you that DIY American Girl doesn’t have to be expensive and it can totally be a ton of fun. 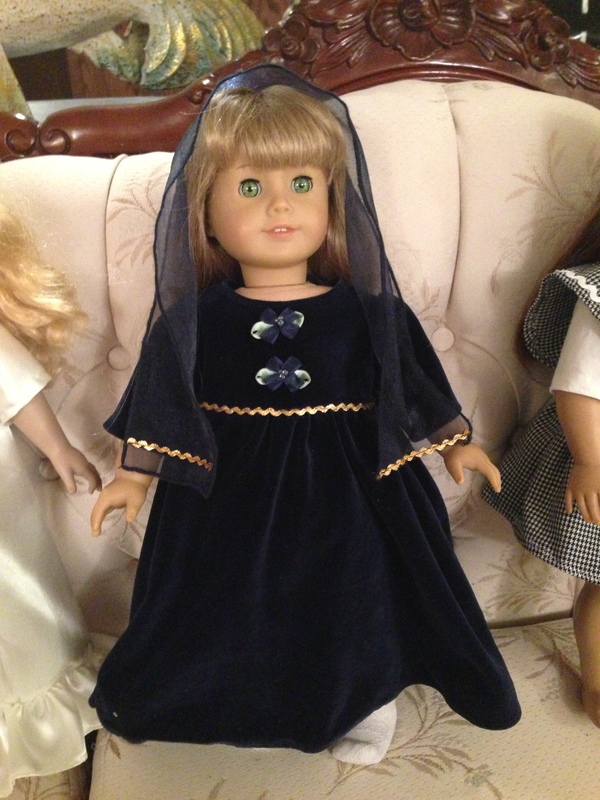 I understand that the actual AG dolls can be pretty pricey but there are other models that can be had that are relatively inexpensive. 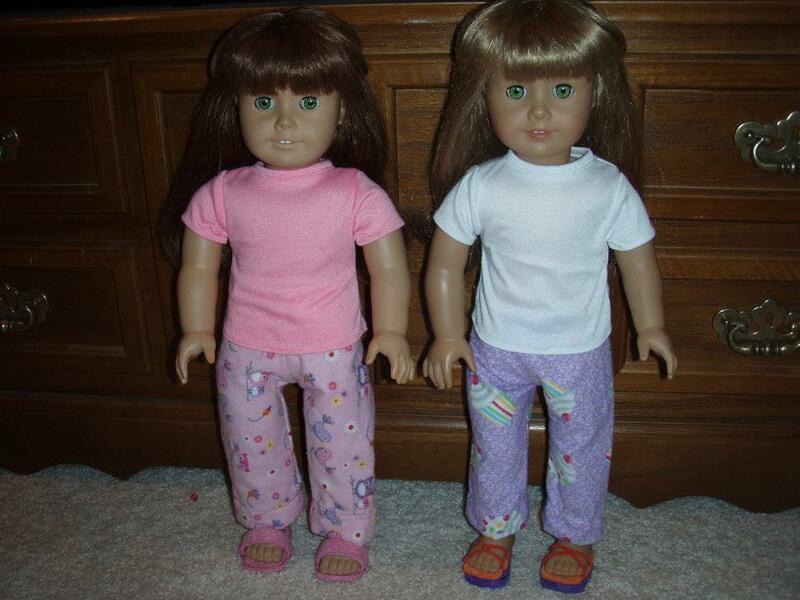 The first pair of 18 inch dolls that we found were these twins. We named them Clara and Laura. 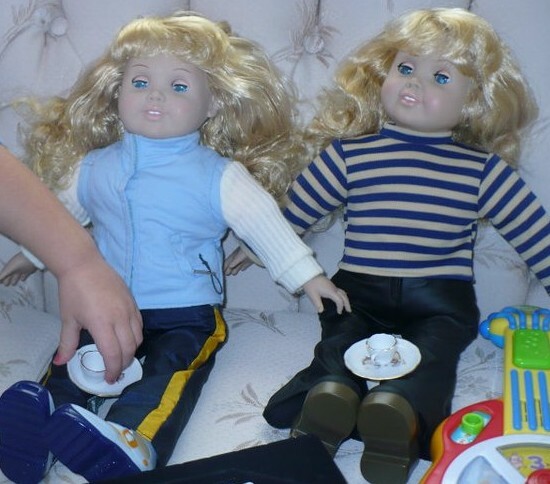 I paid $5 for these two dolls. They came in a plastic bag, all arms and legs attached by an empty cloth body to their heads. After stuffing them and sewing them up, they looked much better. I also had to do a conditioning wash on their hair. Needless to say, my kid loves them and they cost nearly nothing. 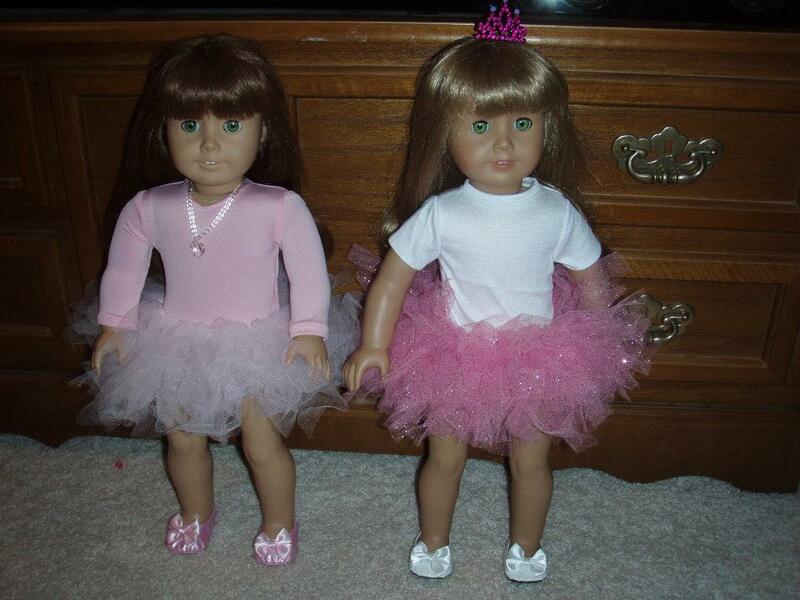 Over the years we did eventually acquire two American Girl dolls. One was a birthday gift and another was a present from Santa. 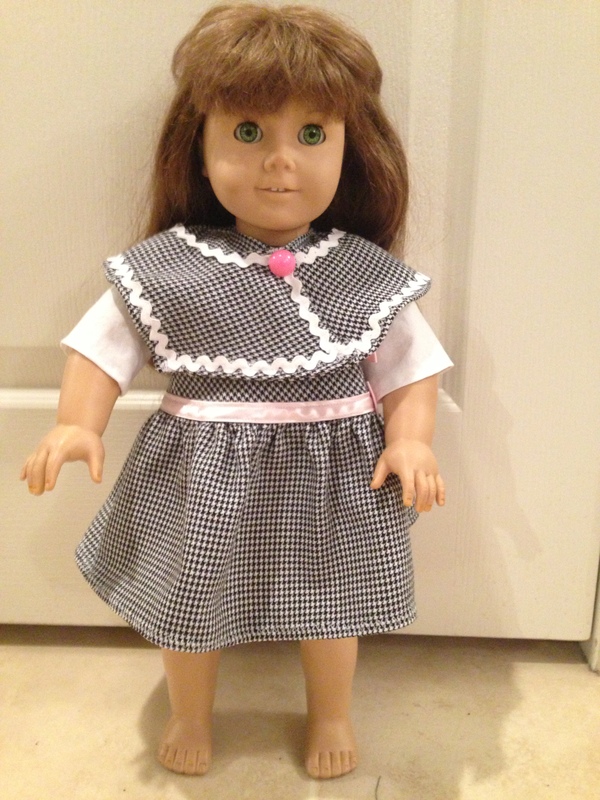 I found that it is possible to buy used American Girl dolls on eBay for a fraction of the cost of a new one. 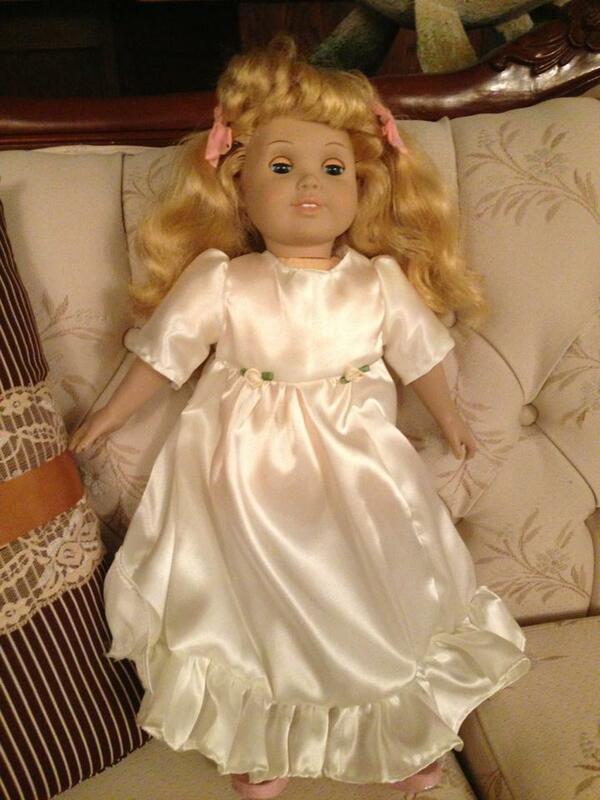 And the beauty of American Girl dolls is that they are of such high quality. Their hair is beautiful and given a quick brush is as good as new, so buying a used one is actually a viable option as many of them still have a lot of years left in them. To tell the truth, I wasn’t sure what all of the fuss surrounding the American Girl dolls was about until I actually purchased one. I really get it now, and despite the fact that they are quite expensive, I love them. They are simply adorable and they last. 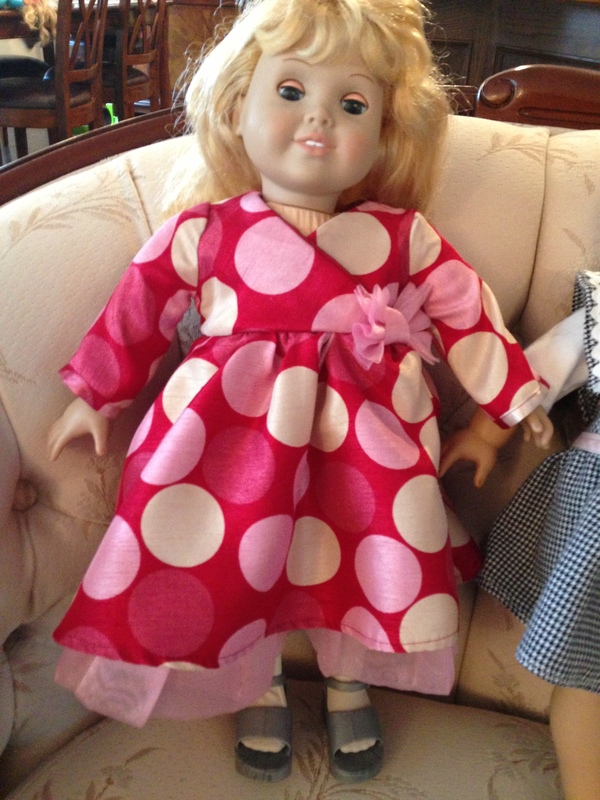 So if you can sew, it doesn’t cost too much to make a wardrobe for the dolls and there are tons of patterns out there. If you can’t sew, there are some no sew tutorials online, but since I do sew, I haven’t looked into them too much. I found what I think was a toy box at one time? I am not too sure, but I turned it on it’s side, hung up two horizontal dowel rods and some hooks for hanging things on and it worked like a charm! Plus it only cost me $10. For hangers we fashioned some out of those giant fuzzy pipe cleaners. Not a perfect solution but they work. The mirror on the side is just a plastic dollarstore mirror. 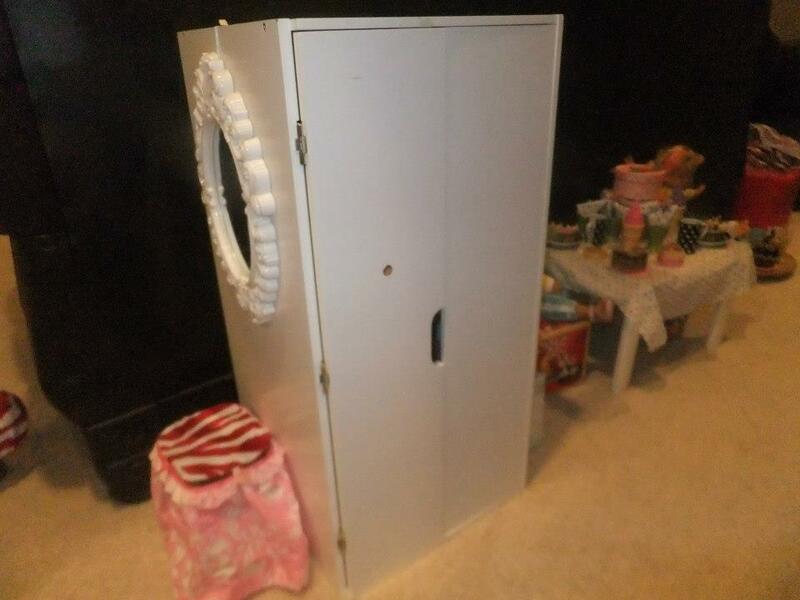 I might paint this closet in the future but for now, it is functional and that was what mattered at the time. As you can probably see, there is a makeshift table in the background. 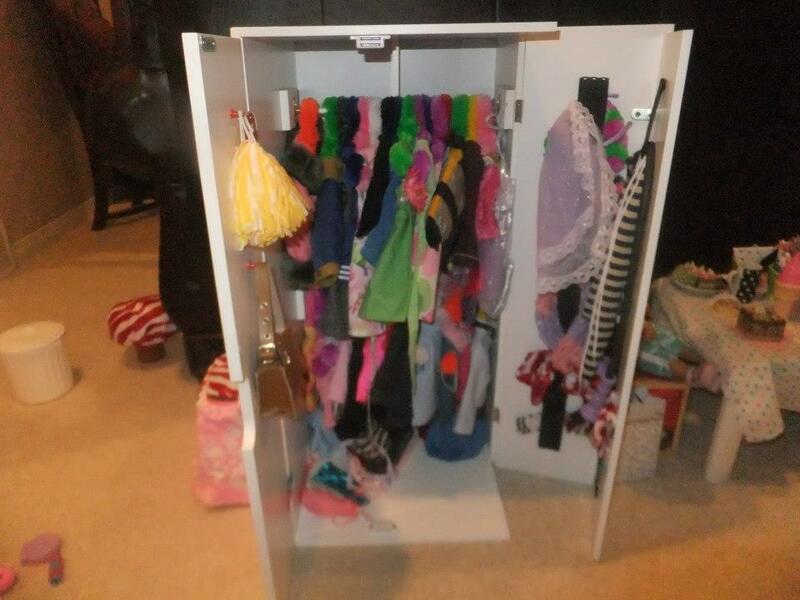 That table was made out of the bottom piece of a stackable set of plastic drawers. Then I just laid a piece of wood on top and draped a tablecloth over it. Here is a picture of the table. I couldn’t figure out for the life of me how else to make a table so if anyone has any ideas, it would be very helpful. Chairs are also a conundrum. 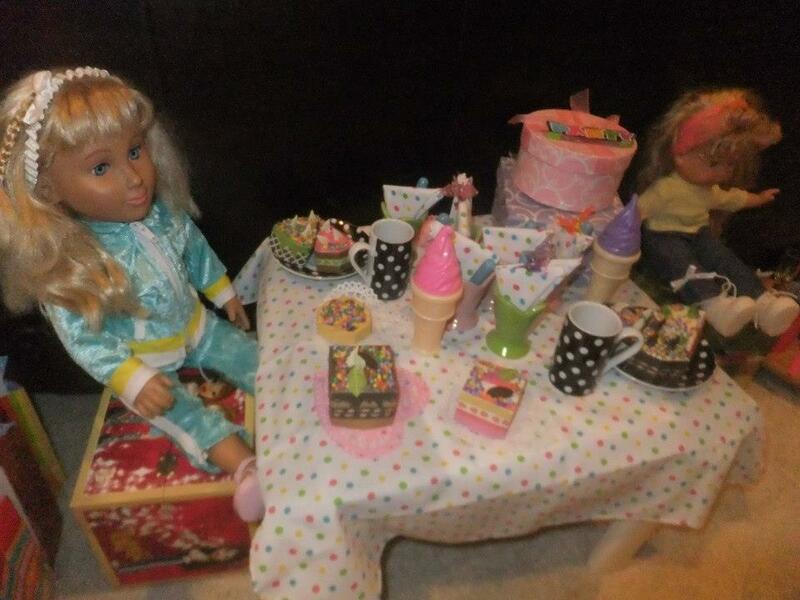 We have made quite a bit of American Girl doll food lately as well, but I will save that for another post. As for beds we lucked out and found a pair for $5. I sewed up some blankets and pillows for them and now they are good as new. American Girl ever hit us hard about 4 years ago and we’re still going strong. 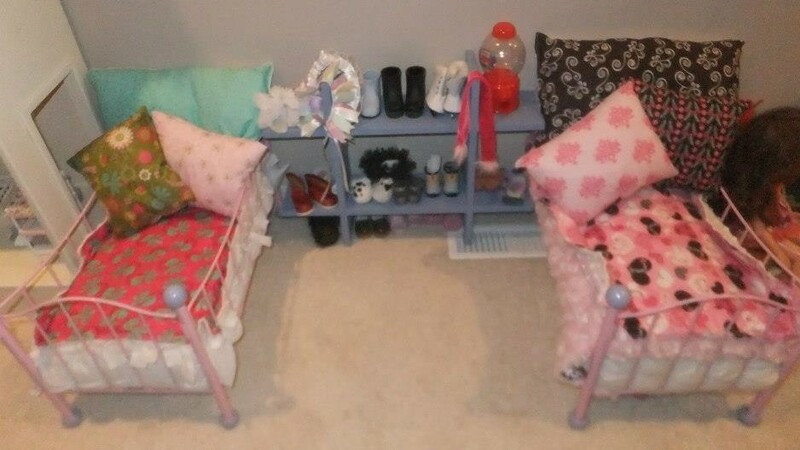 It is so much fun creating and finding doll-size accessories and furniture.